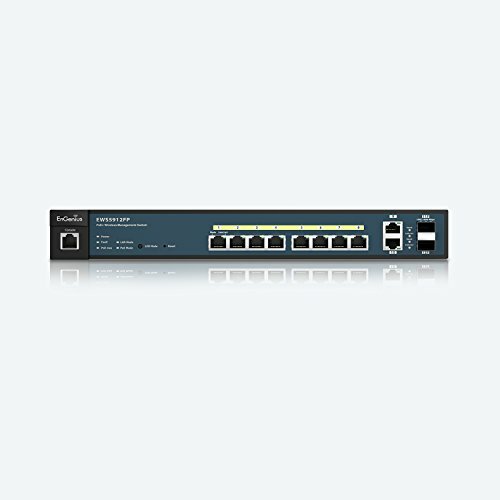 The EWS5912FP is a Neutron Series Managed Wireless solution 8-Port Gigabit PoE+ Layer 2 Switch with 2 Gigabit uplink ports and 2 Dual-Speed SFP ports for fiber uplinks. As part of an EnGenius Neutron Series wireless management solution, the EWS5912FP through its browser-based GUI (Graphical User Interface) can discover, configure, manage and monitor up to 50 Neutron Series Wireless Access Points. 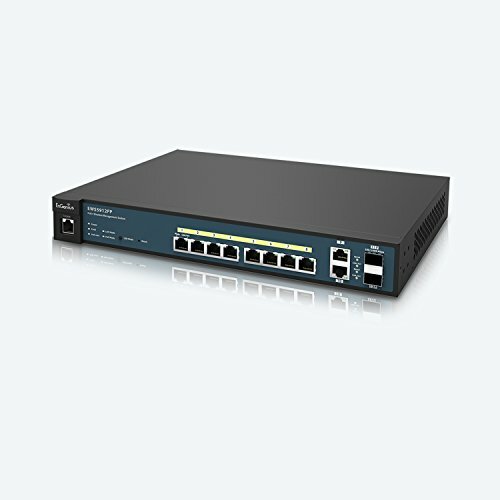 The Controller mode of the Switch provides a suite of wireless management features for IT managers to configure Neutron Series Access Points. Features include clustering Neutron Series Access Points in clusters with identical policies, Access Point IP Auto-Discovery, remote Access Point rebooting for hard-to-reach / previously deployed units, and a host of visual monitoring features including topology and floor plan view modes for the mapping out and tracking of networks. The controller also features a statistics section for record traffic tracking and comparison between units or over-time comparisons.